Every Summer we go to this big crafter’s fair called Art by the River. 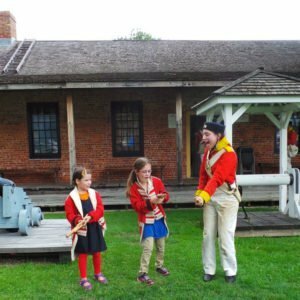 It’s held at the Fort Malden National Historic Site in Amherstburg, Ontario. We enjoy walking around and looking at all the various things for sale, doing a little Christmas shopping, maybe eating a frozen yogurt or two. The kids always want to stop and paint a picture at the art station. 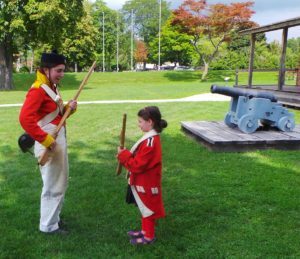 The one part of the event that has never interested them, until this year, is the historic 1812 period military reenactors that are at the park. This year the six year old was entranced with the soldiers. She loved their uniforms. She loved their barracks. She loved the way they were parading around the park. She was just completely fascinated with them. “I want to dress up and pretend to be a soldier when I’m a grown-up”, she confided in me. My husband was quick to point out that this was a hobby and not a career choice, but I shushed him. I told my girl that her dream was totally possible, I even noted that several of the soldiers we had seen walk by had been women (not historically accurate, right? but cool, none the less). So I fished out a jacket for Gigi and let her try it on. She was absolutely thrilled. Even more so when one of the nice female officers that we had been talking to in the barracks earlier came out and offered to do “junior militia training” with her. Grace hurried over to join in the fun. I was surprised that they would bother to have a training session with just my two kids. 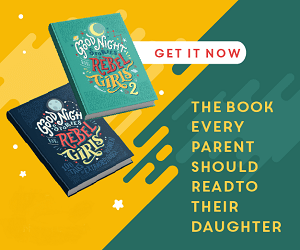 I thought it was incredibly nice of them, and my girls were delighted to learn how to hold a musket, how to load it with imaginary gunpowder and tap it down with an imaginary rod, and then fire it off. Happy kids. Happy, happy kids. Have your kids ever played soldier or wanted to join the militia? 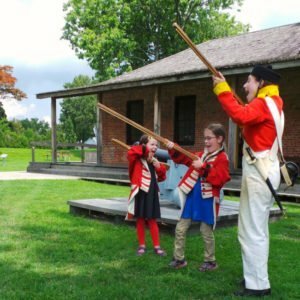 Have you guys ever been to Fort Malden? or some other Canadian historic site? Your littlest certainly looks entranced and both are having fun while learning about history. I think it’s awesome that the officer was happy doing Junior Militia Training for just the two of them. Wonderful experience. That was so nice of them to do a junior militia training for your girls. 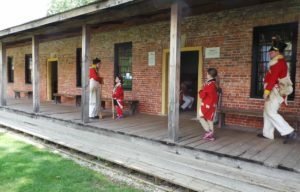 My children did play soldier when they were younger and we have never been to Fort Malden but visited fort in Alberta! We enjoyed them very much! This took me back to elementary school and learning all about 1812!